I had to move all the way from Michigan to Tennessee before I got to live in a state park and purchase a large A-frame-style house for our family of seven. I was thirty-four. My husband was transferred, the fourth time in five years. I was ready as always for adventure, I thought. My parents had taken my siblings and me through Tennessee during summer vacations on our way to other places. History was something my family studied in person–or remnants of it. Tennessee has plenty of that. I even thought of myself as a bit Southern since I was born and lived in Missouri for one and a half years. I was quite mistaken. That was clear the day we arrived at Pin Oak Lodge, where we would stay while we located a suitable house. 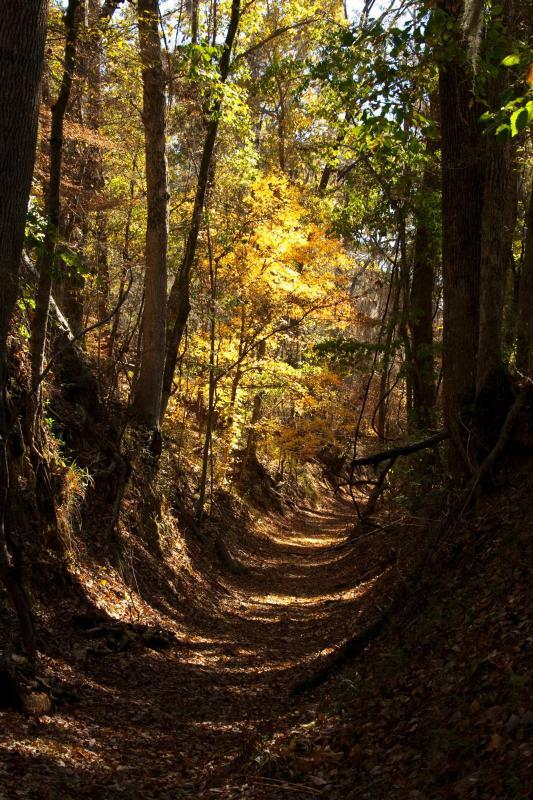 The lodge was in Natchez Trace State Park, under ten miles from Lexington, our new city of five thousand. It looked like an old town out of a movie, replete with a small library, three small schools and a town square with courthouse front and center. It boasted an attractive lake within city limits. We were about to dive into a mega adventure in the classic South. Detroit suburbs were very far away-I wasn’t very sad about that–as soon as the lodge receptionist emitted words cloaked in vowels that had been stretched, transformed. “Wayaacom yaal. Aahm Jaaayean.” Her smile dazzled. That is what I heard when I first met Jane. I was embarrassed to have to ask for a repeat. I felt quite unsure about the territory we had just entered. It was late summer, a month before the new school worries. Our children, ages eleven down to four, initially considered it a well-deserved vacation. The rooms were pleasing; the pool had cheery aqua water with a diving board to execute daredevil dives from, day and night. I joined in though my husband watched from a shady spot or, preferably, an air conditioned window seat. The sun hunted us down, mistaking us for prey. Sweat was a constant accessory. We turned pink or bronze in no time. The daily buffet offered surprises like fried okra and catfish, which we loved. I didn’t tell the kids what the fish looked like alive or where it had lived. For errands in town, we tooled around in a fancy Lincoln Town Car my husband’s company had leased for us–it was a tight fit–until we moved everything, cars included, to a new house. In the meantime, we were to adapt and enjoy the amenities as we continued searching for our own habitation. It was true that clamorous cicadas rivaled those in Missouri and the cottony heat eventually drove us indoors if not in the water. But those realities seemed minor for the moment. Who could complain, right? Hotel living gets old fast, despite the expense account, the services, the “easy does it” attitude. Ever try to keep track of five kids who have their own room, even one by your own? They felt freed of old constraints, the general rules of family that develop and nurture a civilized communal lifestyle. I empathized with their responses, but I was the ruling parent while my husband worked. The responsibility felt heavier outside of a house and neighborhood. We lived in the forest. Anyone could get lost. But we couldn’t find a home big and decent enough yet affordable. I watched as other families came, played, and left–they were on vacations–and we remained two, then three weeks and into the fourth. We made a decision to move on. To the cabins. We were in two, side by side. Rustic but with running water and usable kitchens. Secluded. Because it was nearly September and everyone else was home buying fresh pencils and notebooks, trendy clothes and backpacks, we were alone. Excepting the wildlife. Not that we weren’t preparing for the new school. But ten miles from school meant only a couple trips. The children lamented the few choices of commodities. I wondered where a good music and bookstore were. We worked at tuning into the language cadence so we understood what was said. Some found us less than appealing, with our big family, luxury car and our own accent that branded us as foreigners at best, enemies at worst. Confederate flags whipped in the breeze while people sipped iced tea for hours. Our kids danced and sang to Motor City soul music and liked to get right to the point. Most of the time we were in the thickets, hiking, observing an array of insects, avoiding unknown snakes and getting full choral concerts from bountiful birds. Bears we didn’t worry about. I heard larger creatures, sensed them nearby but rarely saw them. I’ve always liked bugs. I grew up with a mother who took etymology and geology in college and a father who was a scientist at heart. We’d gone camping, hiked many trails. I had once lived in Texas, where fire ants, spiders and cockroaches did not win their battles with me. So I didn’t shrink from unique flora and fauna that might elicit shrieks from others. That was before we took showers in cabins in a Tennessee state park. The first time my dripping wet foot landed on a hard, round object that was not a pen or bottle I was startled. When I moved so that my shadow stepped aside as well and the truth was revealed, I said things rather crass. Then I jumped on the toilet seat and shrieked for my spouse like a wimp. 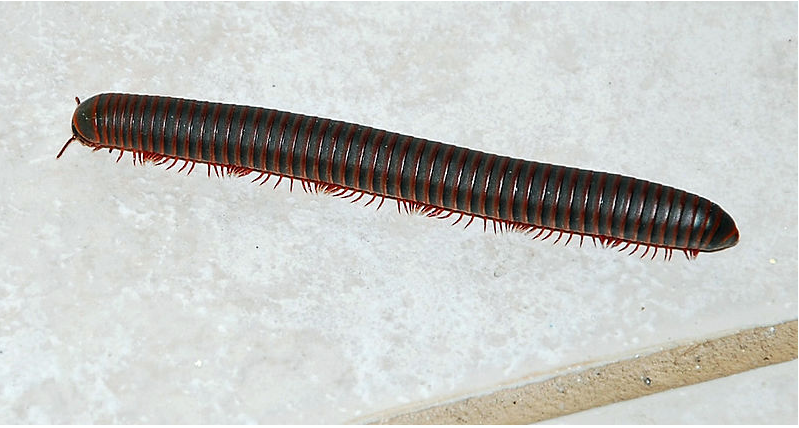 A millipede! And many more to follow during our stay. The sort with well over one hundred legs, I am certain. Not poisonous, not a biting sort, but nonetheless. They have hard shelled segments to protect their soft undersides. We had towels. After that we wore our sandals and inspected the bathroom and shower first. Considering they are thought to be the first creature to move from water to land, I owed them some respect. Like the place we were to make a home within. 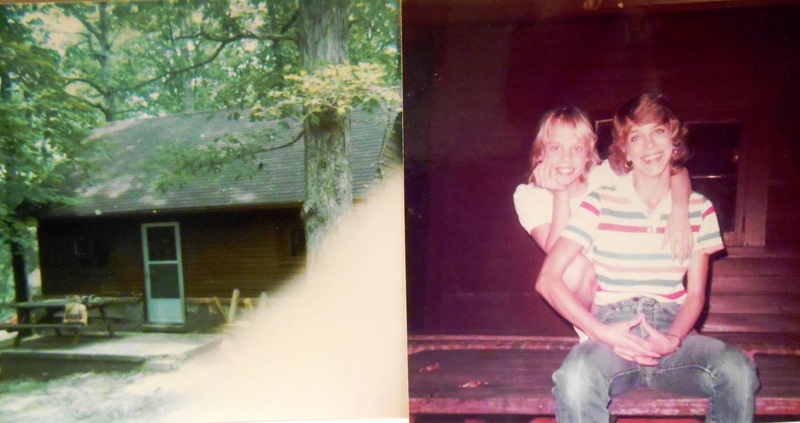 There were good times shared while we lived in the forest of Natchez Trace State Park. 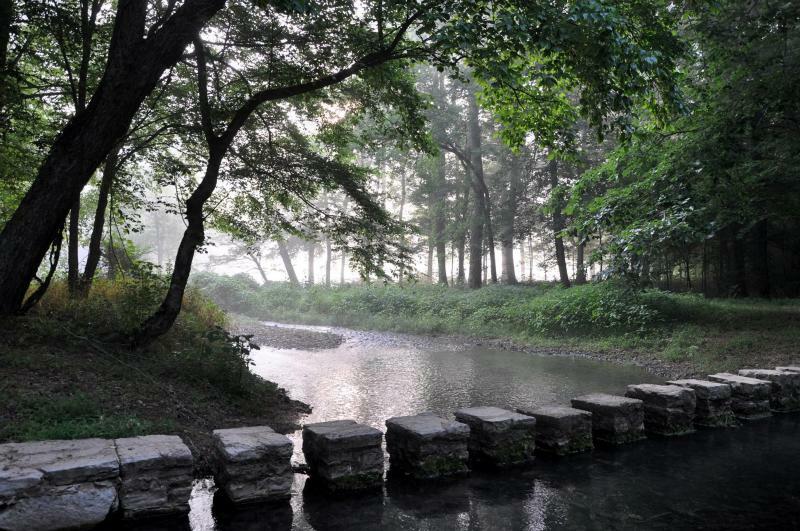 Nature provided peace and pleasures unlike any city life offered. I embraced myriad wonders. We lounged outside, sat at picnic tables for meals. The scents of earth and abundant plant life clung to us. Wildflowers greeted us in secret places. We followed butterflies by day and moths’ curious dances around porch lights in evening. There were fires to tend in the fireplaces as the air grew chill. Storytelling and making our own music were second nature without television or fancy phones. We created things out of nature’s bits and pieces, compared found rocks and studied trees and flowers, nature guides in hand. The children grew braver, more sure-footed. Resilience is readiness of spirit, a skill of adaptability. All five gained more daily. They cared for each other and squabbled as before but they couldn’t escape each other easily. They learned things about one another that they did not know before. Just as my spouse and I did. Like how to cultivate patience, faith and love when alone in a strange, if beautiful, land. We found our house after the kids had been in school for a month. I might have moved into anything with enough beds for all at that point. But the moment I laid eyes on it I thought, It looks like a northern Michigan house. The beauty of that anomaly choked me up. The bonus was getting some land with it. My husband agreed. It was built into a hill. The front looked like one story whereas the back revealed it was two. It had four bedrooms, two baths, two living areas and a wood stove that warmed up the whole house in the winter (yes, it got cold). A porch spanned the front, the better to ogle the countryside. There was a rolling acre of yard that opened onto woods, a murky pond (fit for nothing much but snakes although the kids tried fishing) and a nice garden spot. We swore we could see the kudzu, monster vine, creep across the road, it grew so fast. It fascinated and frightened me a little, like southern thunder or ice storms we’d watch roil the skies far off, then shake up everything on the way in. As with so much of Tennessee, I came to appreciate the power and wiles of the geography. I loved helping split wood, then tending the fire in our wood stove, making the two stories warm and fragrant. Was mesmerized by the harsh music of cicadas among unseen critters. Grew to appreciate heat that left us languorous. I made a dear friend of Jane. I was the only woman in the one AA meeting where older men made up a club, exceedingly slow to set out a chair for me. Poetry came to me unimpeded while walking our acre. But my cello had arrived cracked, splintered. My father repaired it back home, then hand delivered it, lest my heart stay broken, too. It played differently after that. It seemed an omen that much was to change, one way or another. Our children learned about kindness, tolerance, and prejudice in equal measure; we were a multicultural family in actuality and viewpoint–not always understood or welcomed. It was a place where a molasses-like accent charmed and lulled us, and the closeness of air hung on our shoulders like invisible cloaks. Where we could roam at length in our own back yard. I fell in love with many of western Tennessee’s characteristics about the time we followed a moving van back over the Mason-Dixon Line. It had not even been two years, but it had changed me. Deepened and challenged me. It had been a journey worth taking for the family. But it was very good indeed to be heading north to yet another spot. Thank you, Gina Marie. Personal essays/memoir is a fun departure from fiction! I usually post non-fiction as well as short story weekly. THIS PICTURE IS BEYOND BEAUTIFUL.LOVE IT!! !